It may surprise you to find that one of the rising stars in the kitchen is glass countertops. While not a traditional choice, glass countertops can last a lifetime while delivering class and style to your kitchen. While homeowners are rediscovering the beauty of glass countertops, they certainly aren’t new, and have for generations been a favorite of those who enjoy their unique look. Glass countertops, while providing over-the-top style, also deliver a unique functionality to the table. Glass is versatile, making it a great choice for your kitchen and promising to be both heat and scratch resistant. Glass is also affordable, costing around the same as granite, but delivering its own unique vibe to your kitchen. Glass can be naturally translucent or infused with color, the choice is yours. Crushed glass countertops offer the promise of unique style and environmental friendliness, making them popular for the budget conscious and those who value sustainability. Crushed glass countertops come in two designs – embedded in concrete or encased in acrylic. Both styles allow you to showcase the glass and gain a distinctive look for your kitchen – because no two crushed glass countertops are ever alike. Crushed glass countertops deliver a fun focal point and add a bit of flare where none previously existed. Recycled Glass Countertops are highly functional countertops which are also affordable. As a Crushed glass countertops are the most popular of the recycled glass countertops, but other styles are available and can be found at your local remodeling or hardware stores. Like other glass countertops, recycled glass countertops deliver beauty, function, and durability to your kitchen. Sea Glass Countertops are not made of actual sea glass which would prove to be too soft for the application. Instead sea glass countertops utilize the color and style of cloudy sea glass to deliver unmatched natural style. Sea glass countertops use pieces of glass, colored and tempered, and then embedded in concrete of stone for a unique natural texture and durability. Tempered Glass Countertops use a refined tempered glass which delivers solid durability to withstand your kitchen’s conditions. Heated to high temperatures to rid it of impurities, tempered glass promises strength under pressure. More expensive than its counterparts, tempered glass countertops are among the most popular of the glass countertops due to their enhanced strength. Custom crafted, tempered glass delivers distinctive finish and style to any kitchen. Homeowners love the look of glass countertops, not only for the kitchen, but also for bathrooms. 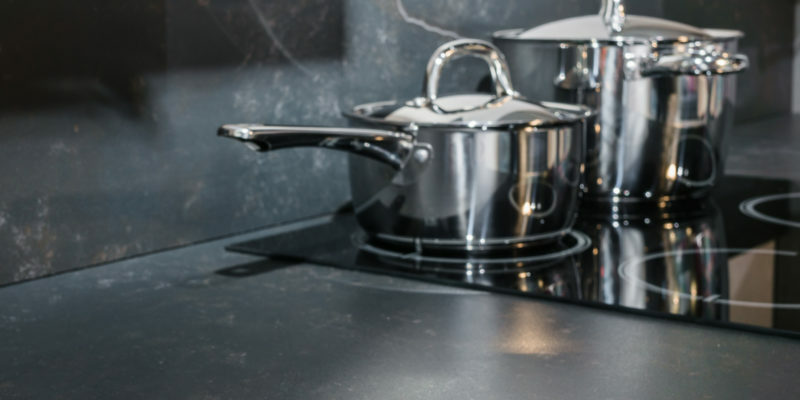 These countertops offer a unique, natural style with enhanced strength and durability. Of course, that is not to say, glass countertops are the perfect choice for every home. Here are some points to consider before making your final decision. Glass is a versatile countertop material which comes in an unlimited variety of colors, shapes, and patterns. Durable and strong, glass doesn’t wear out, is head resistant, and non-porous, making it easy to clean. Glass countertops are also an eco-friendly choice, most often fashioned from recycled materials. Though glass is impervious to many kinds of damage, it is not indestructible. Glass can crack or dent and when it does it is costly to repair. The installation of glass countertops is often more expensive than other choices. Now, you know the pros and cons and can decide if glass countertops are the counter of choice for your project.